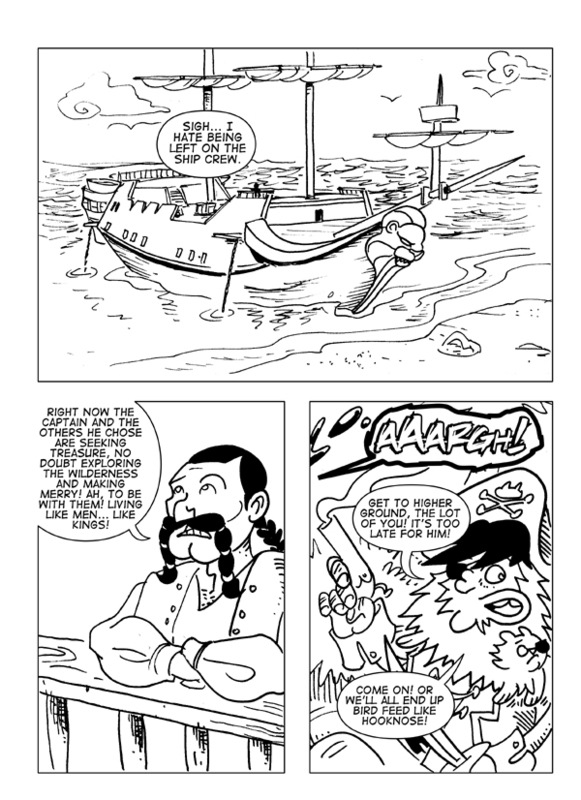 Isla Gallinas Repugnantes, Part 8 – Catbeard the Pirate! Sorry this one was so late! Having fun with my fellow nerdlingers got in the way. So we say goodbye to Hooknose Pete! Yeah, he was pretty much chow from day one, LOL. But we do say hello to Fancypants Frederick on the ship. He’s a new crewman I’ll be bringing into the stories more. I like his mustache design, which I’ve drawn on a couple of other pirates in past strips, but when I put it on Freddie it just seemed to fit.